Offering you a complete choice of products which include floor form, scaffolding wall forms and scaffolding floor form. Owing to the vast industry experience, we have come up with quality Floor Form. These find their applicability in casting of RCC columns, beams and floor and other scaffolding constructions. Our offered products are available in standards sizes and can also be customized as per the specification of the clients. These are highly appreciated for the accurate finishing, low maintenance cost and durability. 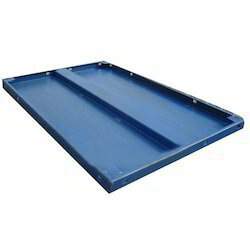 Standard Floor Forms are made in 600 mm widths and 1150 and 900 mm lengths. Scaffolding Wall Forms offered comprises precision designed and fabricated range of wall and floor forms that are manufactured in accordance with established norms of industry by experienced professionals who closely supervise every stage of production to ensure production of quality wall forms. With our expertise lying in making these available in customized finishes as per the requirements of clients, these Scaffolding Wall Forms comprise steel panels of 2.5 mm (12 swg) with thick skin plate and 45 x 45 x 5 mm punched angles that are jig assembled. 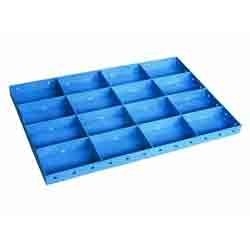 These are available in different sizes 3000 mm, 2500 mm, 2000 mm, 1500 mm, and 1000 mm or as required and supports floor forms while laying slabs. Our products are basically used to support floor forms while laying slabs and can be easily used and erected by unskilled labor. 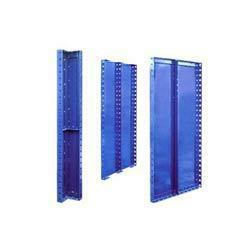 These virtually eliminates vertical propping permitting free space beneath the spans. With the help of our dexterous professionals, we have come up with Scaffolding Floor Form. These are manufactured using high grade machines and equipment by our professionals. Our raw material for the product are sourced from reliable vendors in this industry. Looking for Scaffolding Wall & Floor Forms ?